To add to the confusion and difficulty in finding a solution, my wife also wanted to make sure that the sling was comfortable to use and easy to adjust……. Now you see my dilemma. Our testing facility was quite vast and really tranquil. We took a trip up to the mountains above the city we live in and picked a nice, open valley to test and shoot. Between our two rifles we blew off around 750 rounds of .223. I also carried 2 9 mm pistols to see if the slings interfered with shooting or carrying my pistols. Between .223, 9 mm, 30-06, 12 gauge and .22lr we expended around 2000 rounds in total. Not a whole bunch, but enough to give us an idea of how restrictive these slings really were overall. Now on to the 2 point slings: Quickly, we figured out that the adjustments on the Viking and the Blackhawk! were not as easy to maneuver as we had hoped. The Viking’s adjustment mechanism was reminiscent of the ALICE pack. It was not just a simple slide to loosen or slide to tighten type scenario. Neither my wife or I could fully get the process down that well. We both did, however, love how wide the strap was that went across the shoulder. It was by far the most comfortable system for her. If she never had to adjust the length, she would have picked this strap hands down. The Blackhawk! strap adjustment uses a plastic cam lever clip thing. It takes some true manual dexterity to operate this device with one hand and not drop your rifle. It looks similar to this (my picture didn’t come out very well so I had to shop Google for something you could actually see). This left the Magpul and the Blue Force slings. I love the slide adjustment on both. There is a little webbing handle that you grab hold of and just slide into position. The sling actually stays put when adjusted as well. The Magpul used a loop for a handle while the Blue Force had a piece of webbing that was sewn back upon itself to make an actual handle. 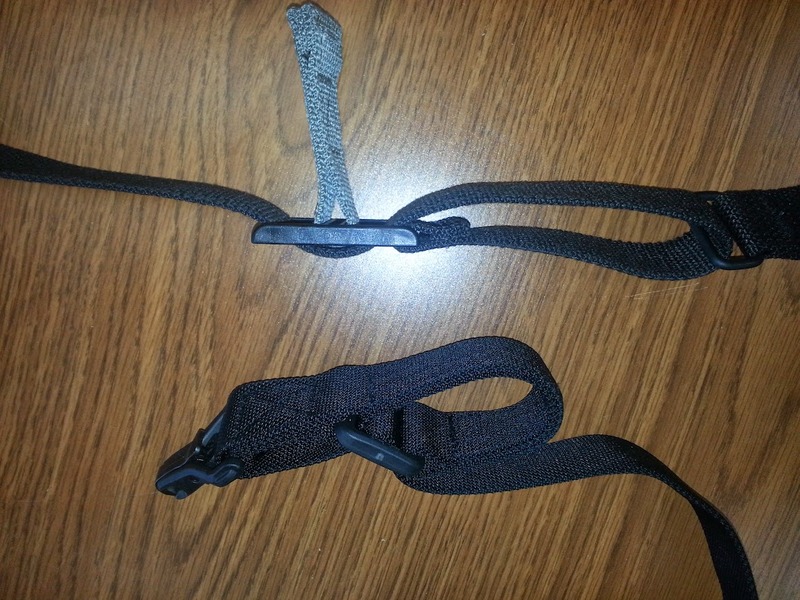 The top sling in the picture below is the slide and handle for the Blue Force. The bottom one is the Magpul. As you can see, they are both very similar in function and design. Well, they are close enough that I don’t really see that much need to debate or investigate their design. They both work quite well. 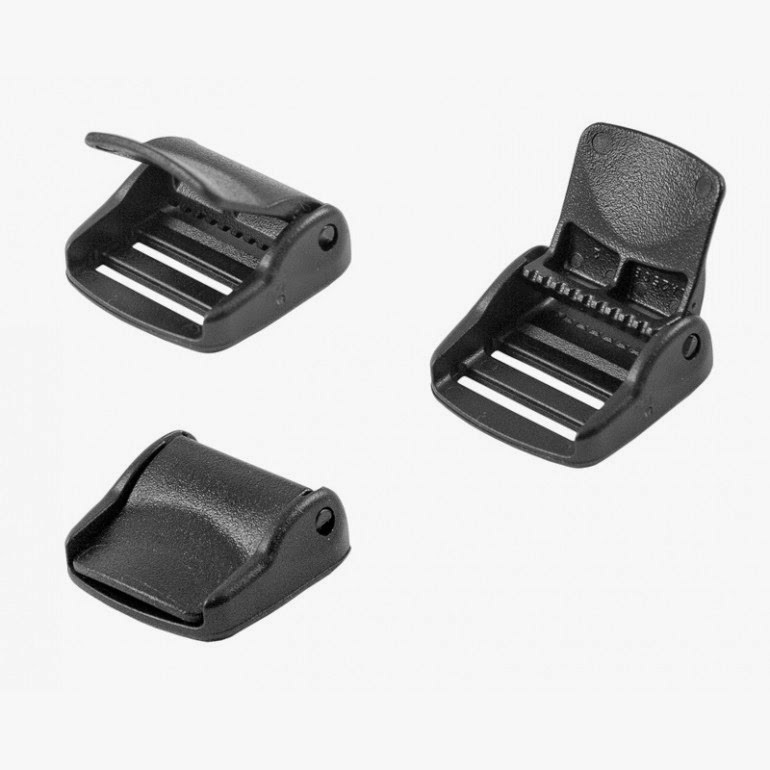 The Magpul has built in clips. It doesn’t work efficiently when clipped to normal rifle sling swivels. The clip binds a bit if you are not careful. The Blue Force does not have easy disconnects. You will have to attach the webbing to the rifle using old school slider clips. This isn’t a huge issue for me, but might be a deal breaker for others. 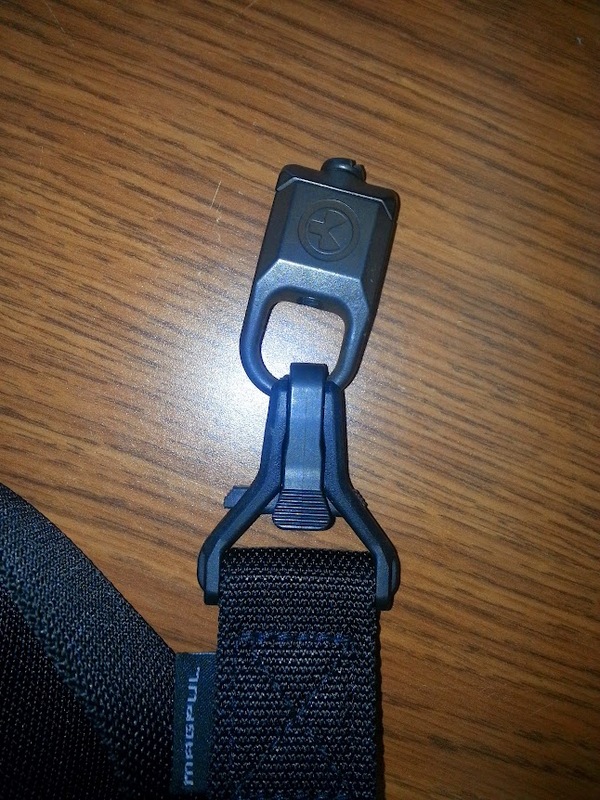 Here is a good picture of the Magpul attachment clip. These are on both ends so having a good ring to attach to seriously cuts down on the binding issue. This entry was posted in Firearms and tagged 1 point sling, 2 point sling, BLACKHAWK!, BLACKHAWK! sling, Blue Force, Magpul MS3 Sling, rifle slings, tactical slings, tactical webbing, VTAC Viking on July 7, 2014 by Woodsbum.